The partnership of Fred Couples and Gene Bates is a true design collaboration. The managing partner is Bob Barrett, one of the nation's most experienced club managers. Bob began his career at Augusta National Golf Club and has more recently been recognized for his work as Director of Golf at The Shoal Creek Club and Old Overton Club in Birmingham, Alabama. The course was selected by Golf Digest as the "Best new private course in America." 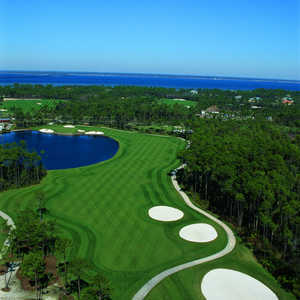 Bob's experience and commitment to excellence have already distinguished Kelly Plantation Golf Club. 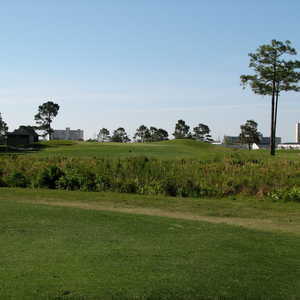 We invite you to experience the course and club unlike any other in Northwest Florida. Great golf outing in February 2016. Cool and breezy, but clearly a notch about the other local "resort" courses (Raven, Baytowne, Links). On par with Regatta Bay. Newly built, firm, fast and true greens. Disappointing. This course bears Fred Couples name, but it is not worthy of it. Course was in average condition. Layout was average. Other area courses are much better, Regatta Bay, Raven and Burnt Pine are all better.